This classic new block furniture range is now available to order from Norman Lewis and presents a clean and contemporary look, ideal for cafes and school dining furniture. The Block Classic is available in “raw” timber with white tops but we can also supply in a wide range of additional contrasting and matching laminate colours. The edges are impact resistant and the table top surfaces are easy to clean. Raw materials are being used to creative effect as part of a key interiors trend and these are now in demand for stimulating spaces. The Block Classic offers the rustic look of unfinished timber in a robust, sleek design and the contrast of smooth laminate and raw wood earns style kudos. 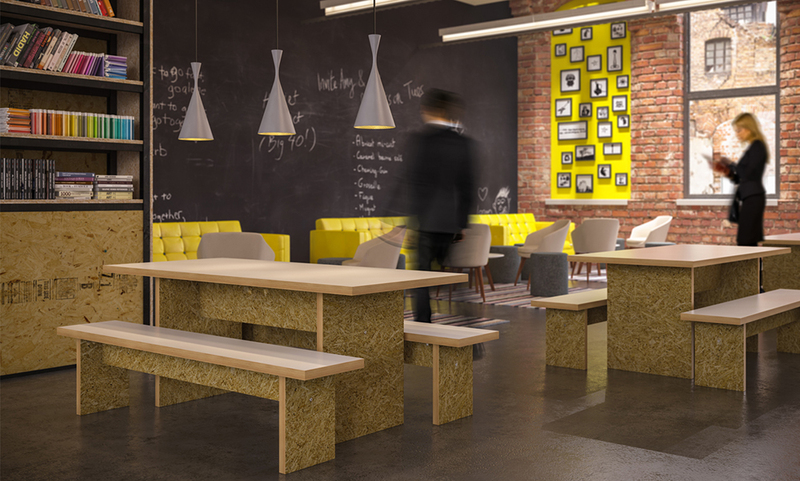 In a world of uniformity, the unpredictable quirks of textured, natural surfaces have unique appeal.The wide table is offered in three sizes, with matching benches or choose the ergonomic sit/stand option with the poseur table and stools. The versatility of the Block Classic enables it to be paired with other “raw” frame products to provide a striking effect where required. The furniture is delivered in a flat pack allowing for easy installation in awkward locations – the Block Classic pack enables simple self-assembly.